My wife and family have, over the years, have visited Greece on numerous occasions and have always thoroughly enjoyed our holiday. I have got to say the Evdokia apartment was the best we have have ever stayed in. The apartment was spaceous, very well appointed and very clean. We would recommend Evdokia to anyone. The apartments are set in a beautiful garden, even nicer than the photos. Maid service was excellent, everything was spotless. Location was close to the beach and lovely restaurants. The pool at the neighbouring hotel was a bonus. Closeness to beaches, restaurants ect. Comfy bed, nice garden with swings quite modern bathroom. Baby cot available. Very good and swift communication: I received all the answers I needed before arriving at location (weather/ airport/ rental car services) . We arrived late (after 12:00 am) and we were waited in front of the location. Inside we were welcomed with water, juice and 2 nice bottles of rakya and olive - really useful at that hour. Room was cleaned daily. Location is near a sandy beach and in very nice area in Kato Gouves. 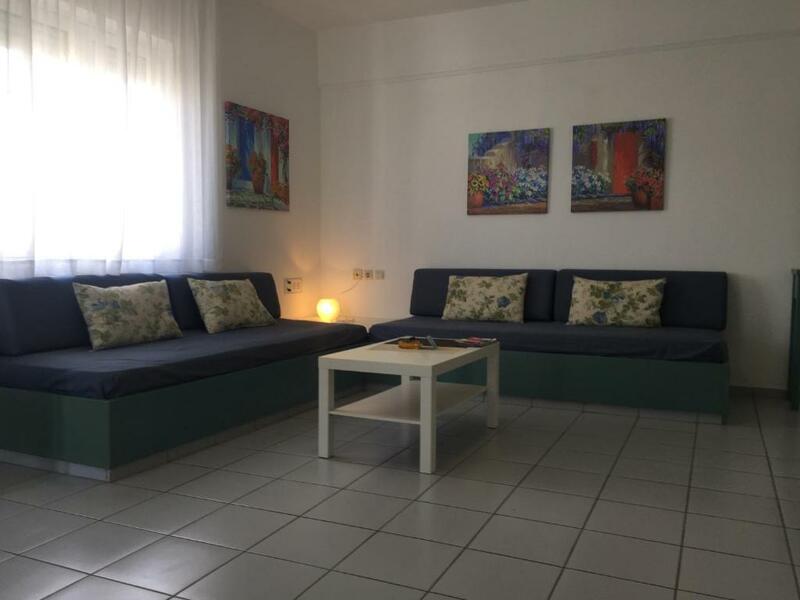 Close to the beach but in a quiet location. Great hosts, big clean appartment and use of the Artemis pool and bar was an added bonus. A perfect stay. We enjoyed the owners' genuine hospitality, the air conditioned rooms, the beautifully tended garden with functional parts: the shaded porch, the swimming pool and the toys for the kids. It was nice that the beach was two minutes from the apartment. We recommend Evdokia heartily. Very friendly staff, and also the adjoining hotel (the artemis) staff who let use of their pool were also excellent and all very friendly. Great location near the beach and the sites, very spacious and very efficient air conditioning! 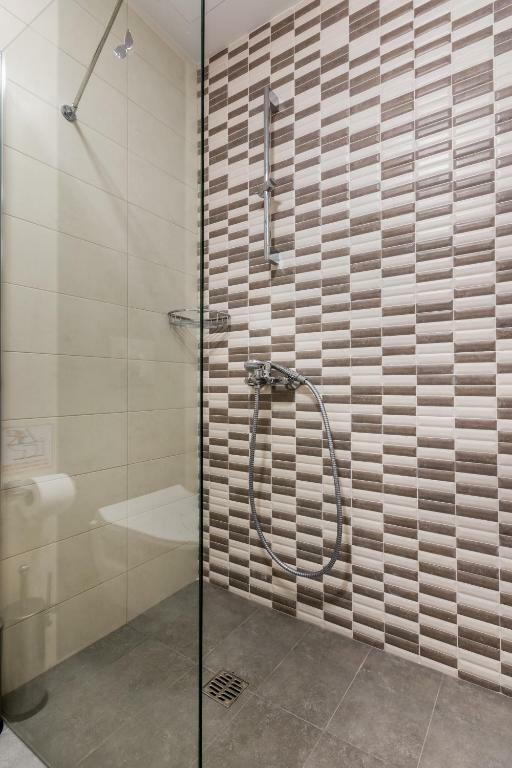 Huge room with constant air xon and free safe deposit box. 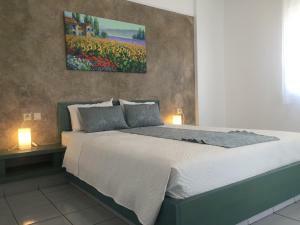 Lock in a great price for Evdokia Apartments – rated 9.7 by recent guests! One of our best sellers in Gouves! 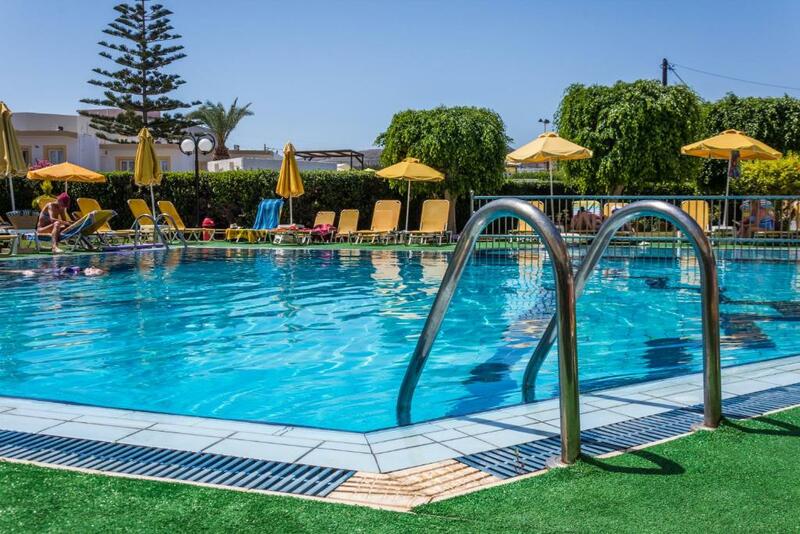 Located in Kato Gouves of Heraklion, within 500 feet from the beach, Evdokia Apartments offers a pol with poolbar and self-catering accommodations with free Wi-Fi and a balcony. It features a blossomed sun terrace, a children's playground and free Wi-Fi throughout. 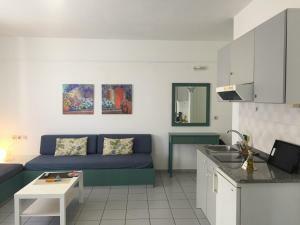 Overlooking the garden, the air-conditioned apartments of Evdokia have a seating area and a well-equipped kitchenette or kitchen. A fridge, a TV and a private bathroom with shower or bath tub are available. A breakfast buffet with traditional local treats is served at the property. Snacks and drinks are available at the bar. Guests will find restaurants and cafes within 500 feet from the property. Heraklion City and Port are 11 mi away, while Nikos Kazantzakis International Airport is 9.3 mi away. The famous Cretaquarium is at a distance of 2,650 feet away. Free on-site parking is possible. 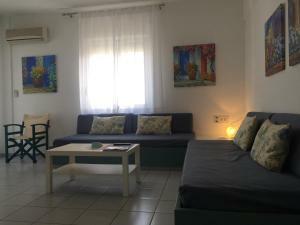 When would you like to stay at Evdokia Apartments? 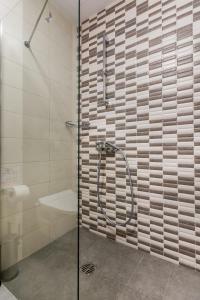 -a private bathroom with shower or bath tub. This apartment has a dining area, stovetop and seating area. This apartment features air conditioning, dining area and kitchenette. Evdokia Apartments is a small family business , started many years ago with few studios, on 1986 where there are only few hotels in the area. From the day one we have been focused on families who want to spend their vacation in a quite and friendly environment. Gouves, now in itself a popular summer sun destination, has plenty of accommodation including large modern hotels and small family orientated self catering apartments plus leisure and shopping choices for the visitor with car-hire, sports and marina (mooring) facilities. Best time to visit is Gouves resort is from May to October Just 15 minutes west of Gouves is the capital of Crete, Heraklion where you can visit the archaeological Museum as well as Knossos Minoan Palace, which are ideal for those of you wanting to find out about the history of Crete. A great shopping in the city of Heraklion is also available with a bug variety of shops Only 10 minutes walking distance on the beach road, you can visit Crete Aquarium where hundreds of species and thousands of organisms will come face to face, fascinating you with their behavior and revealing the wide variety of shapes, colors, habits and needs of their own world. The Crete Golf Club - only 7Km from Evdokia Apartments - is home to the first 18-hole course on the island and it is a lay-out that few visitors will ever forget. 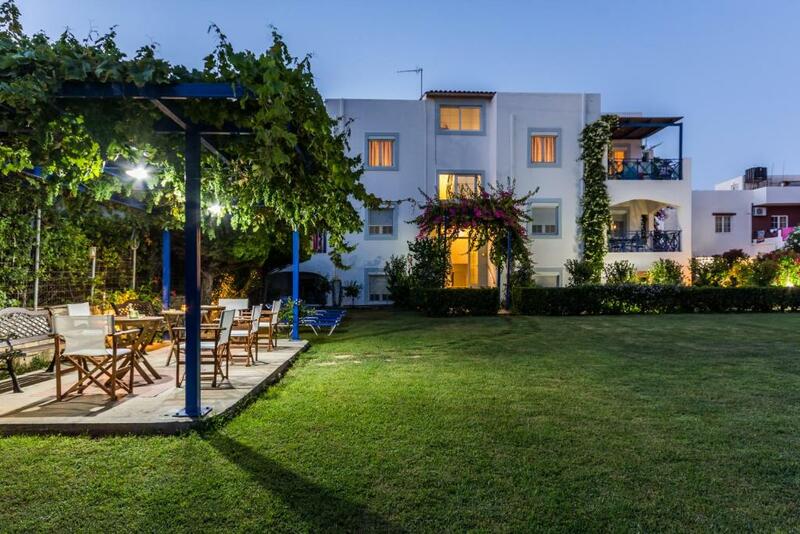 House Rules Evdokia Apartments takes special requests – add in the next step! Evdokia Apartments accepts these cards and reserves the right to temporarily hold an amount prior to arrival. Please inform Evdokia Apartments of your expected arrival time in advance. You can use the Special Requests box when booking, or contact the property directly using the contact details in your confirmation. Absolutely minor comment, perhaps a toaster for a quick morning snack. Smell in the flat from sewage was intolerable, pipes need a good cleaning. Kitchen equipped insufficiently to cook. A little playground in the garden but quite shabby, some of the toys were broken.